Standing at 6ft 5, Kalidou Koulibaly is one of the most physically imposing players set to appear at the World Cup, and he also happens to be one of the best and most versatile defenders in the world right now. Despite his size and strength, Koulibaly actually moves with astonishing grace and agility and is one of the most technically-gifted defenders fans will have the joy of watching this summer. Highly admired for his careful and composed approach to defending, Koulibaly reads the game exceptionally well and has earned the nickname "The Wall", as well as being called "the best defender in Serie A" by Diego Maradona himself. Born in France, he played for the French U20 side in his youth and Didier Deschamps wanted him with the senior squad too, but Koulibaly chose to turn out for his parents' homeland of Senegal instead. 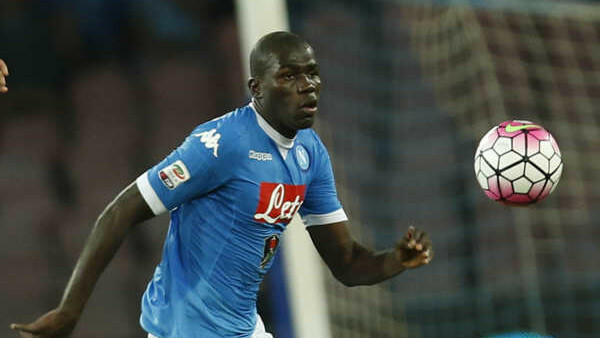 Consistently linked with big-money moves, Koulibaly has been at Napoli since 2014 and has played a huge part in the club's great performances in Italy and in European competition. He's an absolute rock for Senegal too and will need to be at his very best to help the team negotiate a tricky group featuring Colombia, Poland, and Japan.